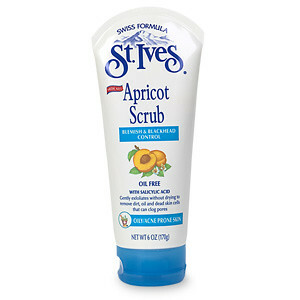 This St. Ives Medicated Apricot Scrub is my scrub of choice. Its similar to the St. Ives Apricot Scrub that comes in the orange tube, except this one is medicated with 2% salycilic acid. What that does is help with treating problem skin, as it has mine. I use it about 2 times a week as part of my skincare regime, and I think it’s help keep my spots at bay. This scrub comes in a large tube, and I don’t find the granules over large or harsh. You squeeze out a bit, maybe around 2cm and lather with water then scrub your face with it. Make sure not to scrub too hard for that’s bad for your skin. The price is great too. It retails for about RM17 and often goes on discount at Guardian and Watsons. I’d say its worth getting. I’m probably on my 5th tube and still loving it! Update: It would appear that St. Ives no longer makes this version or even if they do, they no longer call it a “Medicated” Apricot Scrub. I found that the texture seems to have changed and that the granules in the scrub now seem larger and feel more harsh on my skin. I no longer use this for this reason. However, my review stands because it helped me a lot when I was battling acne and it is my first introduction to the wonders of salicylic acid for combating acne and spots on my skin. These days, I just use a different salicylic based cleanser, like the Vichy Normaderm one which is excellent too! I sleep in an air-conditioned room most nights so my skin was feeling rather dry in the mornings. The normal cream I use during the day just was not cutting it. 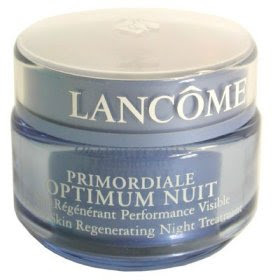 I was recommended the Lancome Primordiale Optimum Nuit cream by a friend. Actually, I was at the Lancome warehouse sale and she asked me to pick her up a tub so I asked if it was good and she had nothing but raves for it. So, I decided to give it a shot. What I don’t like about this cream is the fact that it comes in a tub. Maybe I’m just a bit of a germphobe, but sticking your fingers in the tub every night does not do it for me. So I take some out with a clean spatula into a smaller tub and use from there until its time to replenish. Bit more tedious, but it works for me. This cream is rather thick and is coloured and fragranced. The colour is a pale pink and the fragrance is a strong rose scent. Those sensitive to scent should avoid this as the smell lingers. I am usually quite sensitive to smell, but this one doesn’t bother me very much. It sort of fades after a while but is still there and I find it quite soothing. So as I said, if you don’t like fragrance in skincare, don’t go near this one! This night cream promises to be a regenerating night cream to help skin look visibly clarified and fresh from the first application. Despite the rather thick texture, I found that it sank in quite quickly into my skin. It did not feel oily after that, not did it sit on the top of my skin like a layer of clingwrap. After using it for about 2 months now, I’ve had no reactions to it and in fact, I think my skin looks a bit clearer and more even now than it did before. Its supposed to improve the texture of the skin as well. I cannot vouch for that property as I use a whole host of other products that promise the same thing anyway! This cream is expensive. It retails at RM269 or thereabouts for a 50ml tub. You only use a touch, to be honest. After 2 months I’ve hardly gone beyond the surface of the tub and have yet to replenish my small tub. I can see this one lasting a long long time. I’ve never used any Lancome skincare before this so the effectiveness of this one is a pleasent surprise. UPDATE: This review was written in December 2006. Its now March 2007 and I’m only halfway through the tub. My skin is still doing ok so I guess it deserves its raves. The only rant would be the price! Disclaimer: This review is purely my opinion based on my own experience with the products reviewed. I do not vouch for the ingredients in the products nor do I hold myself out as an expert. I’m just another consumer like you. As with all skincare and cosmetics, do check ingredients or test for allergies and reactions. A couple of months ago, I had a terrible breakout especially along my chin and jawline area. I tried all sorts of pimple creams but the spots persisted. Then, I suddenly remembered this concoction that I used to make weekly with Apple Cider Vinegar. Be warned – it smells! So, if you are sensitive to the strong smell of apple cider vinegar, make it with green tea. I’m not too fussed by the smell so I used to make it with just plain water. Use as you would a toner after cleansing and before moisturiser. Keep in a cool dark place (my room is usually dark and cool so I keep it there). My skin has cleared up dramatically since I re-discovered my old staple, and in fact, I’ve found that using the green tea seems to be beneficial for my skin too. My skin is clearer and any budding spots are nipped in the bud (no pun intended). I’ve also stopped getting cystic acne (the hard painful bumps under the skin that sometimes never erupt) and my pores seem smaller and finer too. The smell is masked somewhat by the green tea, but not totally so. As I said before, I’m not bothered by the smell. I’m using it twice a day now, but you can use it only at night if you’d rather. I use a strong facial sunsceen everyday, so I feel alright using this even in the day. 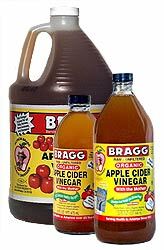 I was told that Braggs is probably the best brand out there for the apple cider vinegar as its unfiltered. Filtered vinegar doesn’t work as well. However, if you know of other brands that are unfiltered you can use them too. This is natural and chemical and preservative free which should be good for the skin. Also, as its preservative free, I make mine on a weekly basis. I hope this helps someone! UPDATE: This one no longer works for me. Please read my update. However, this post was written when it did work and maybe it’ll help you. I used to use L’oreal’s UV Perfect sunscreen on a daily basis and in fact, used to stock it up in case I ran out. I liked that it was SPF50 and was easy to carry around. Then, a dear friend suggested I try Sunsense Daily Face instead. I resisted for a while, while I finished off my L’oreal, but during the recent Guardian sale, I decided to see what all the hype was about. We get one that’s SPF60 here so I bought it. It comes in a 75g tube which is quite handy, and is lightly tinted. However, there’s no need for concern over the tint as it disappears on your skin. The great thing about this sunscreen is that it leaves a matt finish on your skin. This mattifying effect also serves as a great makeup base as you don’t have to be afraid of your foundation slipping off your skin. I found that happening a lot with the L’oreal UV Perfect, which left my skin feeling a bit oily. When I apply this sunscreen on my face, it immediately sinks in but my skin doesn’t feel like there’s a layer on it. Anyone who avoids putting on sunscreen because they don’t like the greasy feeling should give this one a shot. Remember, sunscreen is probably the best anti-aging product you can have in your skincare regime – prevention is better than cure! The SPF rating on mine is 60 which cannot be found on the website. I’m told this is because in Australia they don’t rate anything higher than SPF30 as there is no evidence that anything higher will screen more effectively. I do find that even out in the sun, my skin doesn’t feel like its burning, which is a good thing as it means that the UV rays are being screened out. The information on the official website states that Sunsense Daily Face is ideal for use as a protective daily moisturiser, all year round. The oil free base also makes it suitable for acne prone skin. Blocks UV-A and UV-B rays. Screens infrared and visible light. Does not contain PABA, PABA derivatives or lanolin to reduce the risk of sensitivity reactions to those people who are already sensitive to these ingredients. It retails for about RM39.90 for 75g which is an excellant deal, and can be found at Guardian or Watsons or other pharmacies. L’oreal UV Perfect is about RM30 for 30ml only. I can see myself stocking up on Sunsense Daily Face from now! Sunsense has a whole range of other Sunscreen products for the body which are worth checking out. They are an Australian brand and I trust the Australians best when it comes to making sunscreen, due to the high incidence of skin cancer there possibly because of the hole in the ozone layer which lies just over Australia. Use SUNSENSE everyday, particularly on your face and the backs of you hands to help prevent dry, leathery skin, wrinkles, mottling and other premature ageing as well as more serious problems such as skin cancer. When out in the sun apply SUNSENSE to all exposed areas of the skin, wear a broad rimmed hat and a t-shirt of closely woven material. SUNSENSE should be applied to clean, dry skin, 15 minutes before exposure to the sun. This allows the sunscreen to bond to the skin. Sunscreens wear off the skin with normal usage, so re-apply SUNSENSE at least every 2 hours and after swimming, exercise, heavy perspiration and towelling dry. Apply SUNSENSE even when sitting in the shade, surfaces such as sand, water, snow and concrete can reflect the sun’s rays onto your skin even though you are in the shade. Apply SUNSENSE on overcast days. The sun’s rays can damage you skin on cloudy days too. Don’t just wear SUNSENSE in summer. The sun shines all year round and can damage your skin even during winter. A broad-spectrum sunscreening preparation of SPF 20 or greater. Can aid in the prevention of skin cancer, solar keratoses, sunspots, premature skin ageing. This applies for any brand of sunscreen, not just Sunsense.